Though winter is when we hibernate here at Local Roots, we do a little more than gain weight. 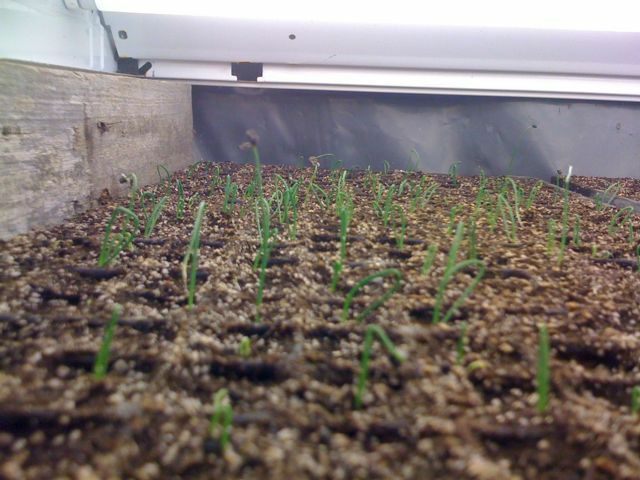 Over the past week we have started the first seedlings of 2010 (leeks, onions, beets, lettuce), planted the first seeds in the ground (arugula, carrots, radishes, turnips), and ordered about half of our seeds for next year. We are also excited about forcing Belgian endive and eating radicchio (rosso di verona and castelfranco) that amazingly didn’t freeze out.